Blog Do central banks have enough ammunition to fight the next battle? After markets had a torrid end to 2018 and more signs of weakening global growth appeared in the first months of 2019, worries are growing about a potential downturn. They were not eased by the Fed’s dovish change of stance at its March meeting, after which it signalled Fed officials’ expectations that there would be no further rises in the Federal Funds rate this year. Given interest rates are still low in most developed economies, the issue of whether central banks would have the flexibility to take accommodative steps in the event of a sharper downturn was a hot topic at several of the sessions at this year’s AIC. The US is in a slightly better position than other developed markets – i.e. the European Union and Japan – in that it is closer to achieving its inflation target and it has raised its policy rate target to 2.25-2.5%. But that is still a way off from where it needs to be to take the steps it would in a typical recession. As Dr. Yellen explained, historically in periods of recession, the Fed has cut the rate target by 5 percentage points on average. That capacity doesn’t exist now; rate cuts would be constrained by the zero lower bound (ZLB). The Bank of Japan and the European Central Bank (ECB) are still much closer to this. This means central banks are going to have to rely on other weapons to fight the next battle. Charles Evans, President and CEO of the Federal Reserve Bank of Chicago, delivers a keynote address at the AIC. These weapons include asset purchases and balance sheet expansion (on which more below), but also being more transparent and deliberate in communicating the future direction of policy. Evans recalled the early 1990s when there was basically no communication of Fed decisions or thinking – beyond a curt note from the press office when the FOMC adjourned that said only: “The meeting has ended.” Now, the Chair gives press conferences explaining its deliberations, minutes are published, and every message is parsed and pored over – in particular its “dot plot” of officials’ views on the likely future path of interest rates. There is a danger of misinterpretation, remarked Eric Rosengren, another FOMC member and President and CEO of the Federal Reserve Bank of Boston, in his address at the AIC. "If you see a dot plot that for example doesn't show any (rate) increases or decreases over the course of this year, that's not a promise - that's saying that if the economy evolves exactly the way we think, which it never does, that we will see interest rates look like this. Too many market participants have highlighted that (the dot plot) is a promise as opposed to a conditional forecast." Eric Rosengren, President and CEO of the Federal Reserve Bank of Boston, spoke at the AIC about how the Federal Reserve’s balance sheet can be used as a monetary policy tool. Of course, communication is important, but managing expectations is not the same as taking immediate steps to ease lending conditions in the face of an economic downturn. Hence, since the global financial crisis and reaching the ZLB, asset purchases – or quantitative easing – have become a core weapon in central banks’ arsenals. Much commentary has focused on the scale of these purchases by the US Federal Reserve, leading to a ballooning of its balance sheet from under USD1 trillion pre-crisis to over USD4 trillion before the Fed started to take steps to “normalise” it (a policy it also moderated in its March meeting). 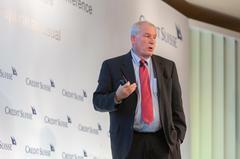 What exactly constitutes “normal” in the post-crisis, low-rate environment was the subject of Rosengren’s address. He pointed out that it is a misconception to think that the balance sheet would return to pre-crisis levels, related to technical reasons linked to the need to finance growing liabilities as much as the direction of monetary policy per se. These liabilities include growing reserves held by depository institutions (now favoured as high-quality liquid assets, in part owing to new regulatory requirements), and, importantly, currency. Given the US dollar is the world’s de facto reserve currency, Rosengren noted, it would be reasonable to expect that, relative to GDP, the Fed’s balance sheet should be even larger than it is currently. Regardless of the bid to normalise it, Rosengren agreed with Dr. Yellen that the balance sheet “is a tool for monetary policy that's likely to be deployed much more in future." It’s not simply a matter of growing or shrinking its overall size, though: the composition of the assets the Federal Reserve holds is also now a crucial policy tool. During the crisis, Evans noted in his speech, faced with the ZLB problem, the Fed combined the purchase of longer-term assets with a maturity extension program (“Operation Twist”) that swapped short-term Treasuries for longer-term ones, in order to lower long-term interest rates. “The legacy of these programs is that the average duration of assets on the Fed’s balance sheet is currently about five and a half years. Before the crisis, it was two and a half to three years,” Evans said. This also has consequences for the Fed’s ability to ease monetary policy in the future. If it does not reduce the duration in good times (via “Operation Untwist” perhaps), it won’t be able to pull off the same trick should another downturn come along. In other words, the balance sheet is another weapon that needs to be reloaded before it can be used again. And there are signs that it will need to be before long. Take the recent inversion of three-month and 10 year treasury yields for the first time since 2007. 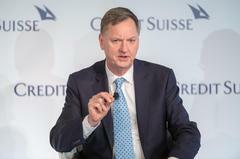 Judging by history, "Six times out of six recessions [an inversion] has mattered,” noted Andrew Garthwaite, Head of Global Equity Strategy at Credit Suisse, warning: “People ignored it and said, 'It's different this time round.' That's the concern." In fact, that captures the problem: the next battle will take place in completely different conditions from those fought before. Far from fighting inflation, the Fed “is overwhelmingly focused on wanting to preserve and extend the expansion and does not see the inflation environment as one that requires a pre-emptive response,” Dr. Yellen said. 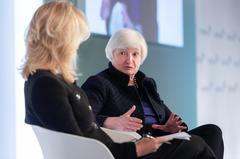 “I don't think the Fed will have its fingerprints on a recession in the near future." With limited weapons at its disposal, the right response to the next downturn – whenever that occurs – will be difficult to work out. More onus might land on governments to pull fiscal levers; as Dr. Yellen noted, in an environment with cyclically lower interest rates, having a higher debt-to-GDP ratio than is currently considered prudent might not be unsustainable. Indeed, if central banks are scrabbling around for ammunition, it would make sense for all policymakers to make sure their weapons are at the ready.